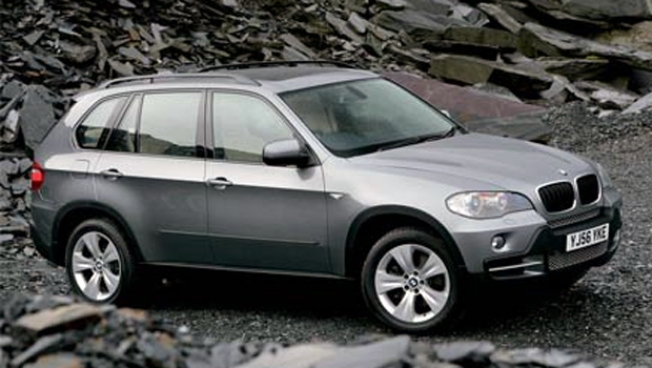 The BMW X5 is the newest member inf the BMW line. Besides luxury, styling, generous size inside and out, this big SUV squeezes every mile out of a gallon. It even rivals the smaller 2009 Toyota RAV4 in fuel economy ratings. Both vehicles with all-wheel drive are rated by EPA at 19 mpg in city driving and 26 mpg on the highway. Only SUVs with four cylinder engines and gas-electric hybrids have higher government mileage ratings for 2009. The X5's secret is a 3-liter, double-overhead cam, turbocharged V-6 diesel.